There are many engagement opportunities within Alpha Sigma Alpha. Serving as an advisory board member, region or national volunteer is a more traditional volunteer opportunity. Region and national volunteers provide a valuable service to the Sorority by supporting collegians, alumnae and other volunteers. Volunteering as a region or national volunteer is ideal for women who are interested in alternatives to becoming an advisory board member for a collegiate chapter. National volunteers are led by a team leader as they fulfill their team responsibilities through their year of service. We ask all national volunteer team or task force members to serve for one year, this is a traditional annual service. All national teams and task forces will be focusing on different projects and work with different collegiate or alumnae chapters. A national volunteer serves remotely and focuses on digital communications including email and conference calls. The commitment for a region volunteer is longer than a national volunteer, we ask our region volunteers to serve a two-year term that aligns with the Sororities biennium. Region and national volunteers are offered online training resources through Officer Portal. This training includes general and position-specific resources that are necessary to be successful. Volunteers at the region and national level also receive training and support from team leaders, team members, other volunteers and national headquarters staff. The Alpha Sigma Alpha Foundation also supports volunteer training and the national convention & leadership conference. These training events include support for volunteers on a personal and professional level. Alpha Sigma Alpha is seeking individuals (members and non-members) who exemplify integrity, motivation, commitment and strong character to serve as chapter advisory board members. Advisory board members serve collegiate chapters by coaching, mentoring and advising members. Advisors are vital in fulfilling the mission of the Sorority. Alpha Sigma Alpha collegiate chapters need strong advisory board support to help meet and exceed goals, understand Sorority policies, submit required forms and perform chapter operations. Advisors support chapter operations, connect members to resources and provide feedback. Advisors assist officers and members in holding one another accountable for performing tasks and meeting goals. Advisors facilitate challenging discussions or difficult conversations to help members work together and build strong relationships. Advisors mentor chapter leaders and officers and serve as a role model of a values-driven professional and personal life. 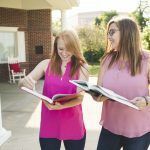 Advisors connect chapters to sorority alumnae and demonstrate lifelong membership by communicating the value of involvement in Alpha Sigma Alpha after graduation. There are many benefits to having a strong advisory board, and chapters flourish with the support of advisors. It is proven that chapters who have engaged and trained advisory board members are more likely to receive campus and Sorority recognition and that members of chapters with good advisors have a more positive experience. Advisory board members are offered online training resources through Officer Portal. This training includes general and position-specific resources that are necessary to be successful. Advisory board members also receive training and support from region volunteers and national headquarters staff. The Alpha Sigma Alpha Foundation also supports volunteer training and the national convention & leadership conference. These training events include support for advisory board members on a personal and professional level.